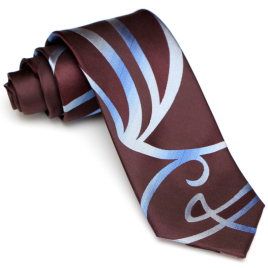 I figure most curious tie-seekers will look at the swirly first, I want to say that any of the Magnoli ties are a magnificent product. I proudly own 9 of them and what better way to add to a cosplay or even just a nod to the Doctor with dress shirt wear on the regular. Just read the list of positives and buy it, not a single regret will be shed.